It is thought that Sloughis originally came from what is today Ethiopia (the tributes to the Pharaohs included smooth Lop-eared Sighthounds from Nubia, south of Egypt). On old fragments of earthenware (about 3000 B.C. ), a short-haired sighthound with lop ears was discovered that looks like a Sloughi. In 2008, a DNA study indicated that the Sloughi is a genetically unique population of sighthounds and the genetic sequences it shares with the Basenji, Sica and Nguni indicate that this breed is, on the maternal side, embedded in Africa, possibly for thousands of years. Therefore, it should not to be confused with the smooth Saluki of the Arabian peninsula and the Middle East, nor to be confused with the smooth Afghan Hound. The Sloughi was and still is used for hunting in its native countries, and is also a reliable guarding dog. Today, the Sloughi is found mainly in Morocco, Algeria, Tunisia, Libya, and Morocco is responsible for the breed's FCI Standard. 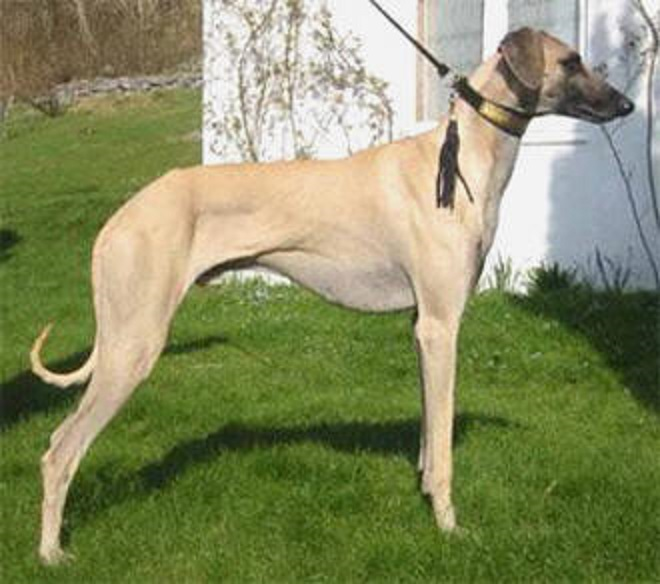 The Sloughi is one of the two African Sighthound breeds recognized by the FCI.